PATNA: A special investigation team probing the Bihar topper scandal has come out with even more interesting revelation. 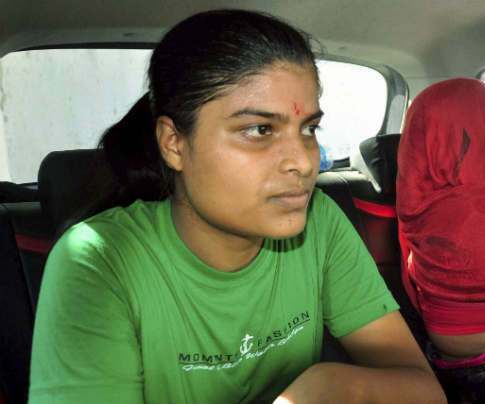 According to them, Ruby Rai, the Class 12 fake topper in arts stream, had only written names of Hindi movies, ‘shayaris’ (Urdu couplets) or Tulsidas in her original answer sheets which were latter fraudulently replaced by the ones written by experts. In one of her answer-sheets, she had written the names of 101 Hindi movies while in another she had scribbled names of Tulsidas, a Hindi poet-saint, some 300th time, according to the investigators. Even in her English paper, she wrote something in Hindi or ‘shayaris’. The purpose was to only kill time and show herself busy. Reports said she reached the examination centres only to mark her presence. On Saturday, the police investigation team found that Ruby didn’t write her answer-sheets on her own, rather they were written by someone else. Ruby who scored 444 marks out of 500 was declared a topper in the arts stream by the Bihar School Examination Board authorities but now her result stands cancelled. The startling revelation came to light after forensic examination of her copies by the Forensic Science Laboratory (FSL). The investigating authorities now plan to file a fresh FIR in the case and interrogate some of the accused key accused persons again. It was Ruby whose botched interview to a TV news channel led to the unearthing of a mega scam which later came to be known as “Bihar topper scandal”. The scam came to light after class 12 arts stream topper Ruby Rai in her interview pronounced the political science as “Prodikal Science” and claimed this particular subject deals with cooking. Ruby was later arrested and sent to jail. She is currently on bail. She told her interrogators she only wanted to pass the examination with second division but her uncle Baccha Rai made her topper. Baccha Rai is the principal of Vishun Rai College from where she had appeared at the examination. Baccha too is behind the bars. Last month, the police filed a charge-sheet against 32 persons in the case in the vigilance court. In the voluminous charge-sheet running into 4,124 pages, former BSEB chairman Lalkeshwar Prasad, wife Usha Sinha and Vishun Rai College principal Baccha Rai have been made the key accused. This is said to be the most voluminous charge-sheet after the multi-million dollar fodder scam with Rashtriya Janata Dal (RJD) president Lalu Prasad one of the key accused in the case. Of the total 32 person against whom charge-sheet was filed, 22 are public servants and four are fake toppers whereas the rest are others. The case was filed against 41 persons. Of them, 28 persons have already been arrested and sent to jail, five have out on bail while four are still absconding.